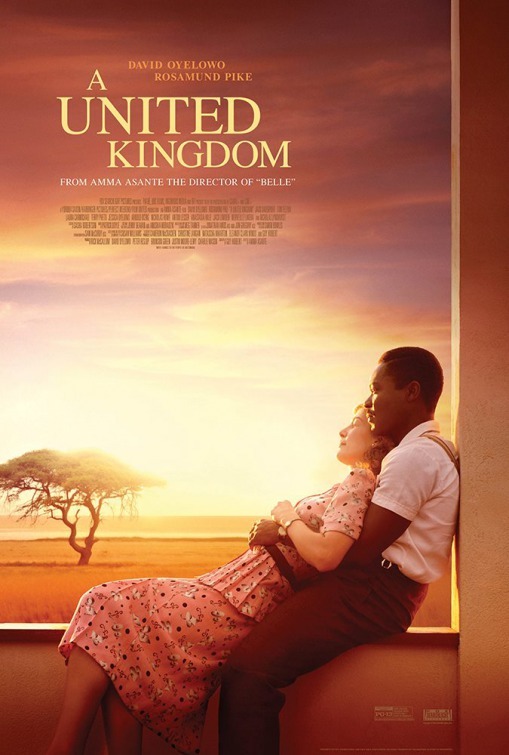 A United Kingdom (2016). Starring David Oyelowo, Rosamund Pike and Tom Felton. Based on extraordinary true events. In 1947, Seretse Khama, the King of Botswana, met Ruth Williams, a London office worker. They were a perfect match, yet their proposed marriage was challenged not only by their families but by the British and South African governments. The latter had recently introduced the policy of apartheid and found the notion of a biracial couple ruling a neighboring country intolerable. South Africa threatened the British: either thwart the couple or be denied access to South African uranium and gold and face the risk of South Africa invading Botswana.Biography, Drama, Romance. Rated PG-13. 110 minutes.